Super Smash Bros. Ultimate's promise to bring back all characters as playable fighters will extend to its amiibo figure line, making collectors all around the world both incredibly excited and terrified for the future of their bank balance in equal measure. As well as old favourites, all new additions are getting their own amiibo, too, including none other than Animal Crossing's Isabelle. 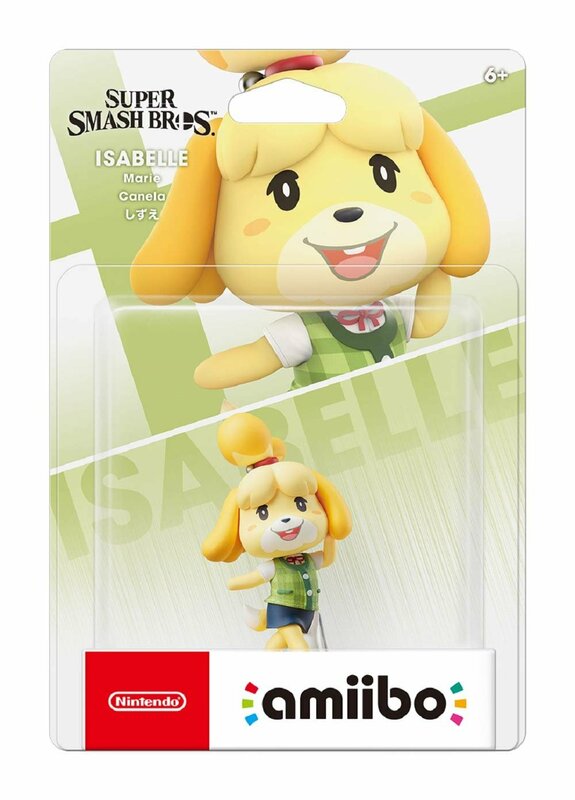 Strangely, despite it being revealed alongside the likes of King K. Rool, Piranha Plant, and Ice Climbers, we were never treated to a quick glimpse of the Isabelle figure's packaging. If you're the sort who likes to keep your amiibo collection boxed for display purposes, you'll be happy to know that we can now see exactly how it'll look thanks to an updated product listing on Amazon Japan. 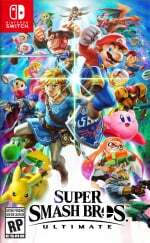 The boxes and designs for the other three fighters mentioned above, as well as Young Link, Daisy, Pichu, and Ken, were revealed back in November. King K. Rool, Ice Climbers and Piranha Plant are all being released in just over a week's time (the first two of which can still be pre-ordered through Nintendo UK), although no specific date for Isabelle has been shared just yet. Will you be adding any of these to your collection? Do you already have many Super Smash Bros. series amiibo? Tell us below. Time to get a third Isabelle amiibo, not counting the amiibo cards. I thought I could trust Nintendo Life for all my bargaining needs. "Ah yes, none of you wanted my other 2 amiibo, but when I became a badass in Smash, you're all lining up to get my new one..."
I mean.... they're all the same. Take the high res render and colour that the Smash website uses and apply it to the Smash Amiibo layout. Now you know what every single Smash Amiibo box art will look like! Patiently waiting on Ice Climbers and Snake.....and the Belmonts too. @Haywired ...That's not really how manufacturing works. @Haywired only trolls and scalpers would say that so they be the seller. Don't want it don't talk about it or buy it. There are a certain amount of slots for new characters in a Smash game (unless they're planning on just adding characters infinitely) and those are the only characters that will be getting Smash amiibos (obviously), so I just think there are iconic Nintendo characters still missing from the amiibo line-up (for whom a Smash amiibo is probably their only chance now) and it would be a shame if they were never made (as we don't know how long amiibo will continue) over a (not especially interesting) character that now has three, imo. That's all. "That's not really how manufacturing works." The manufacturing of Smash amiibos is based on characters that feature in Smash, so I don't really follow. @Haywired you said amiibo slots and never mentioned smash. Also to assume that smash is the only way to get amiibos for certain characters is so naive to say the least. Amiibos print money, anytime they see an opportunity to launch a new game with a new amiibo they'll do it. Do I need a third Isabelle amiibo? @Haywired I think Nintendo's plan is to eventually have all the main fighters from Smash have their own Amiibo. The only issue here is the order of release. I don't think there is any issue with slots. Unless you think Nintendo should have changed the roster of Smash JUST to give a character an Amiibo? Do I want another Isabelle Amiibo? Yes. Could I have waited? Yes. @Haywired I meant that they probably make whatever Amiibo they think will sell, not just a set number of ‘slots’. 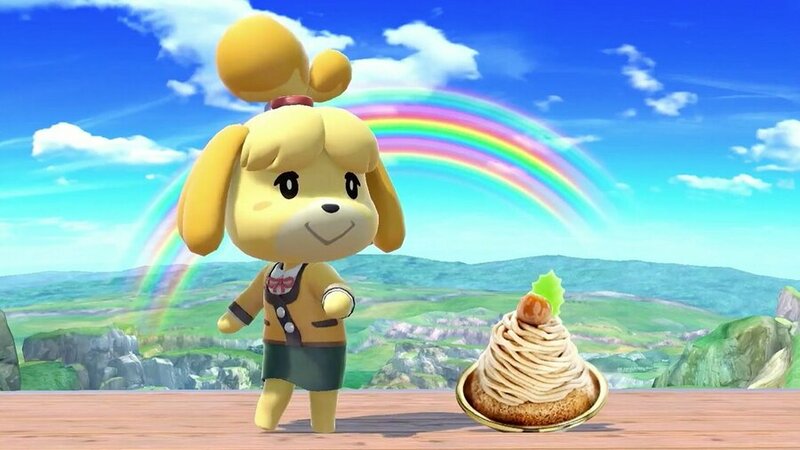 At least one other Isabelle was for animal crossing, not Smash. And there’s the Samus + Metroid double pack for Samus Returns. And the Amiibo for BotW. Ah, and the wedding Mario crew. So there’s tons of character dupes for folks also in Smash, but Ridley and Inklings are getting new ones, too. @Jayenkai Thanks to you I just brought that bundle because two amiibo for £9 is a steal and I don’t care what anyone says. Does that make Amiibo Festival my only Wii U game? I don’t want to answer that. @TheFanatic : Good thing you bought the first print edition that included Digby.